I am new to the forum and trying to find a project Merc to work on. 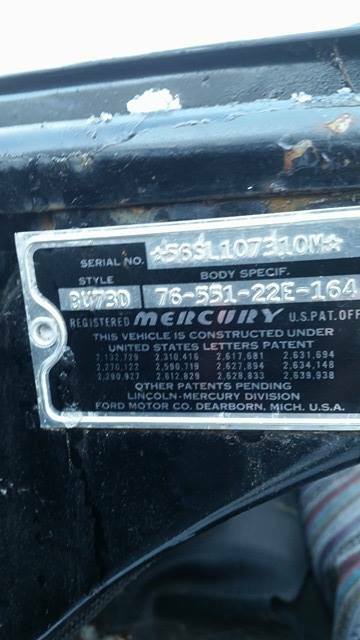 I found a 56 Monterey, and I'm wondering if someone can help me decode the vin. I tried running it through online decoders and they said they couldn't decode it because it's only 12 digits, or something to that effect. There's also a picture of the tag all this info is on in case there might be more valuable info I'm unaware of on there. Thank you so much for looking, and all your thoughts and knowledge!